Fifth graders are now comfortable with elementary math operations - addition, subtraction, multiplication and division. 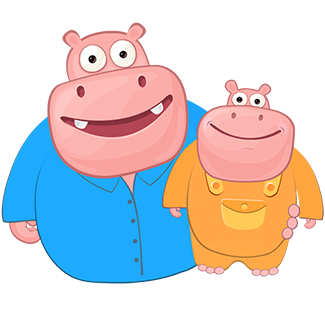 It is time to take things up a notch by introducing children to the amazing world of algebra. Children use numbers, operators and symbols to represent and practice math calculations. 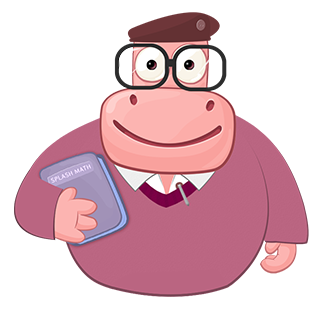 - Write simple algebraic expressions by interpreting math phrases. - Recognize the concept of variables and use them in a math expression. 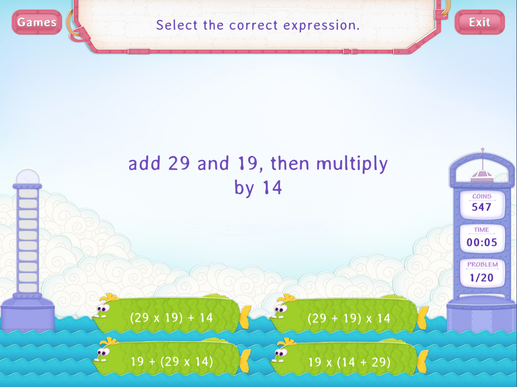 - Understand easy word problems and write math expressions (or equations) to represent them. We form math expressions in our minds every day. From splitting a bill at a restaurant to shopping for a DIY project, most of our activities that involve numbers require us to form math expressions. Having learned to write math expressions, fifth graders can now learn to evaluate math expressions. Do you know there is a relation between basketball and algebra? A professor at Davidson College developed an algebraic formula to optimize a basketball shot. The formula gives you the right angle, speed and distance for a shot every time. 5.OA.2Write simple expressions that record calculations with numbers, and interpret numerical expressions without evaluating them.